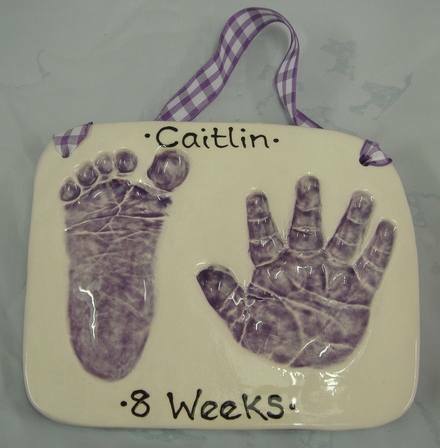 As well as pottery painting we also offer the opportunity to have clay impressions of your child's hands or feet in clay. This works by pressing them into fresh rolled clay which we allow to dry for about 2 weeks before firing. We then paint & glaze the print in your choice of colour adding names & ages where requested. The whole process takes about 6 weeks to complete.